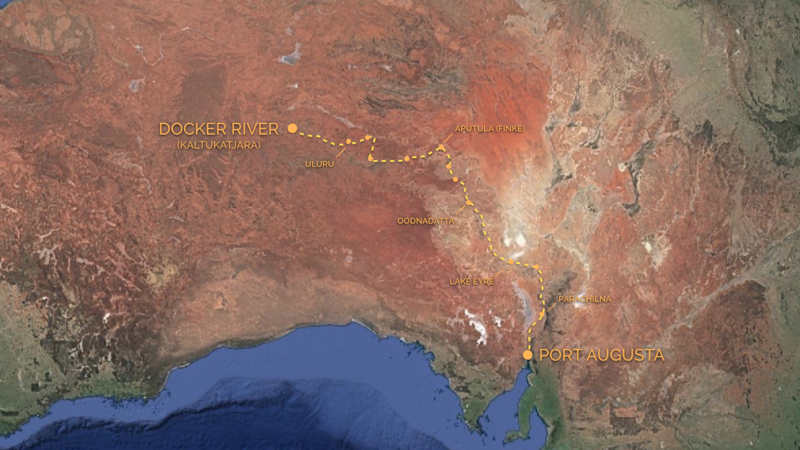 The Jonesys are walking 1,800kms, through the centre of the Australian Outback. During our expedition we will be crossing some amazing landscapes and even more amazing communities. In alignment with our mission to LIVE KIND and LIVE GREAT, we want to give more than we receive and partner with others doing great things along the way. 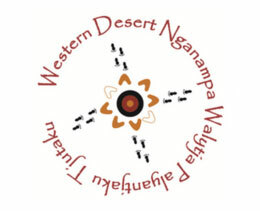 The Western Desert Nganampa Walytja Palyantjaku Tjutaku (WDNWPT) – or Western Desert Dialysis, is one of those great organizations doing great work. More lovingly known as The Purple House by patients, their families and the communities, WDNWPT provides necessary treatment to people in the remote Australian Western Desert regions, facing Kidney failure. Indigenous Australians have a 25% higher rate of kidney failure than non Indigenous Australians. Treatment is required for several hours, three times a week. Without treatment they will pass away. Without treatment close to their homes, they have to leave country and family support to stay alive. By supporting WDNWPT, you are helping to open several new regional treatment facilities, helping people get safely home where they can participate in community life, pass along valuable cultural knowledge down to their grandchildren, and help create stronger, healthier communities. Please support us, support them, their patients and the indigenous communities that they serve. 100% of your donations go directly to the Purple House fund raising efforts. Whether its $5, $50, $500 - it all goes to a totally appreciated, totally worthy, totally awesome, totally necessary cause and is tax deductible in Australia. Live Kind and Live Great! The North Face, Inc. is an outdoor product company specializing in outerwear, fleece, coats, shirts, footwear, and equipment such as backpacks, tents, and sleeping bags. Team Jonesy are proudly sponsored by The North Face with Morgan quite possibly being their youngest athlete. Burley Design LLC is a company that has produced outdoor family products since 1978. Burley’s mission is to enable adventure. From bicycle tours to weekend strolls, they move people to pursue and share their passion for the outdoors. They have generously supplied the littlest member of team Jones with her Burley Cub buggy which will help her fearlessly cross the Australian Outback. development agency specialising in web and mobile apps. We are stoked to have Kongo's support to keep us connected and able to share our journey across the Australian Outback. Nature Baby is a family business specializing in products that nurture you, your baby and nature. all Nature Baby products are carefully selected for quality, purity, design and are produced in a way that cares for the earth and its workers. 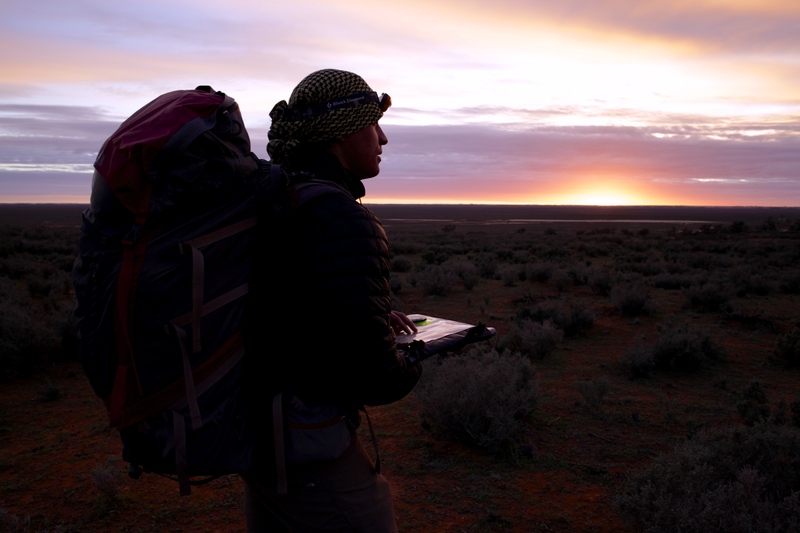 Morgan is proudly, comfortably and stylishly outfitted by Nature Baby as she makes way across the Outback. Campers Pantry is a range of easy to use ingredients that are simply added to your meal. Our foods are lightweight, packed with nutrients and can store anywhere. They jumped onboard our mission towards zero waste expeditioning and awesomely supplied bulk,unprocessed, dehydrated food while the Jonesys are Outback. Tri-Point provides professional rigging, staging and scaffolding services to the film, television and entertainment industries. They are the awesome team behind the serious construction of the main pulling cart and modification support to Morgans buggy. gDiapers is changing the world of disposable diapers — top to bottom, inside and out. Our simple system pairs adorable soft cotton gPants diaper covers with Disposable Inserts that are flushable and compostable (wet ones only). In alignment with team Jonesys mission toward zero waste expediting, they have kindly supplied the littlest member of team Jonesy with fully compostable diapers and wipes for her Outback expedition. One Health in Engadine provides chiropractic, paediatric speech pathology, exercise physiology, strength and conditioning, nutrition and dietetics and massage therapy services. They the super start team behind the implementation and support of The Jonesys fitness and training program. Sendle is Australia's first 100% carbon neutral delivery service and Australia's first certified technology B Corporation. They are saving The Jonesys bacon by delivering our supply drops to the Outback - carbon free! The AG Society is a not-for-profit organisation dedicated to supporting adventure, science and the community. 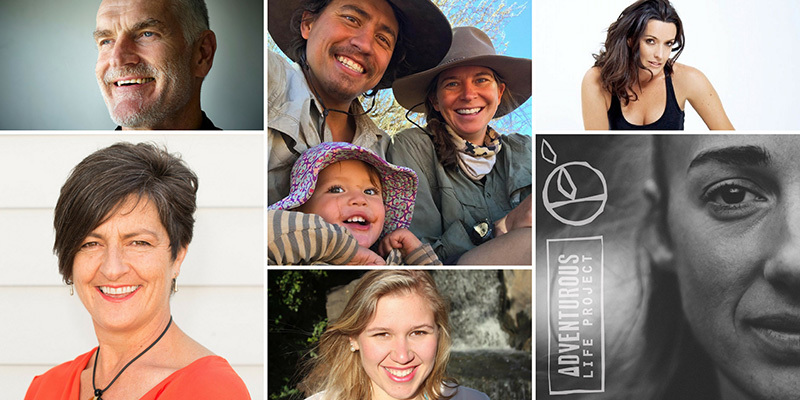 The Jonesys are super stoked to have their support on our expedition across the Australian Outback. Beach Fit is Bondi Beach's ultimate fitness training space. They take credit for The Jonesys boffins. Optus is the second largest telecommunications company in Australia and are keeping The Jonesys connected with satellite communications while Outback. TracPlus is a real-time tracking service provider using the latest satellite, web and mobile technology. They are keeping the Jonesys safe while Outback with reliable tracking services. We love to play which is why we love to play with Adventure Junky, the worlds adventure travel game that's high on experiences and low on impact. Paddy Pallin is one of the premier gear providers in Australia and The Jonesys are stoked to have their support along the way. A bit of history - Justin Jonesys grandparents used to bush walk with Paddy Pallin back in the day! Klean Kanteen® is a family-owned B Corp company on a mission. They introduced the first stainless steel, BPA-free, reusable water bottle in 2004 because they wanted a non-toxic solution to single-use plastic water bottles.